Florida has some of the most convoluted alimony laws in the country, and it holds the honor of being one of the last states to still enforce permanent alimony. Unfortunately, there is no set way that the Florida courts use to calculate alimony, and while your neighbor may have gotten off lightly with no more than two years of bridge-the-gap alimony, you might find yourself saddled with durational or even permanent alimony. So, why the discrepancy? Florida courts weigh several different factors when determining alimony, including but not limited to each spouses’ earnings, their contribution to the marriage and the home, the standard of living established during the marriage, the duration of the marriage, each spouse’s age and physical and emotional health, and each spouse’s earning capacity. At the Law Offices of David L. Hirschberg, P.A., our Boca Raton spousal support attorneys cannot tell you for sure what type of spousal support you will be obligated to pay or how much, but we can help you anticipate the best and worst-case scenarios. This blog serves as a brief guide on Florida alimony laws and as a way to help divorcing men and women understand what type of monetary obligation to expect in the future. Once upon a time, alimony was awarded in most divorce cases, and a man could expect to pay either durational or permanent alimony. Today, however, it is more difficult for individuals to win spousal support in Florida, and permanent alimony is almost always out of the question. That said, it is still a lot easier for an individual to win alimony in Florida than it is in most other states, such as Texas, where spousal support is rarely awarded. The only reason spousal support might not be awarded in a Florida divorce case is if it can be proven that the payee spouse is in no way dependent upon the payer. For instance, if one spouse leaves the other to go and live with someone else, he or she may forfeit the right to support. Or, if both spouses contributed equally to the marriage in every regard, including financially, the judge may decide that alimony is not necessary. However, if there is a big discrepancy in pay and/or a difference in earning capacity, alimony is likely to be awarded. 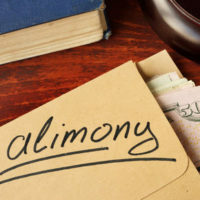 There are five different major types of alimony in Florida, and which type you are ordered to pay really depends on the duration of your marriage and the physical and mental condition of your former spouse (e.g. his or her earning capacity). For convenience’s sake, the courts have established a reputable presumption that a short-term marriage is one that lasted for less than seven years; a moderate-term marriage is one that lasted for longer than seven years but no more than 17 years; and a long-term marriage is one that had a duration of 17 years or longer. For a short-term marriage, the courts may award bridge-the-gap, temporary, or rehabilitative alimony. Longer marriages may warrant durational or even permanent alimony. Permanent alimony is only ever awarded if there is clear and convincing evidence that the payee spouse does not have the means to meet his or her financial obligations on his or her own. For a complete understanding of what type of alimony you may be expected to pay, review Florida Statute 61.08. If you are embarking on the divorce process and if you want to be prepared for what is to come, hire a skilled Boca Raton alimony attorney. Our team here at the Law Offices of David L. Hirschberg, P.A., are prepared to help you achieve the best possible outcome for your case, and ensure that you are not forced to pay any more in spousal support than you have to. Schedule your appointment online or by phone today.